c) It gives me an opportunity to introduce a YouTuber I really enjoy watching - and from whom I saw feature this top. So let's start in reverse order. In one video she answered a question - posed by another sequin fan - and revealed that the top was from Zara and was not expensive at all. Well clearly upon this news I scheduled a visit to Zara and a couple of weeks later was meandering through the store and spied it on one of those racks outside the changing rooms. Nabbed it. Purchased it. Loved it. It's absolutely gorgeous and for £20 is a fantastic bargain. Sometimes I balk at Zara price tags but this was one time that I was pleasantly surprised - almost shocked. Without wishing to sound like a daytime TV fashion spot, I do also think its season appropriate - a perfect party season piece. Now it would be remiss of me to not warn you that this scratches if worn without a body or vest top underneath. If you're into self-flagellation then knock yourself out but for me there is no way this can be worn comfortably without a body acting as a barrier between skin and gauze. I suppose this is where the price tag comes into consideration - if it was double the price then it might be a little softer. Accessories: Necklace from Tiffany, watch from Rolex and bracelet from Accessorize. I did however, stumble across the best lipgloss of recent releases: Good Times. This coupled with Hue (a steady favourite for the last 6 years) is a lip combination I am very excited about right now! Have a great Thursday all and don't forget to subscribe to Ally! and that lipgloss looks like the perfect every day colour. but i blow way too much money on makeup, so im giving a shot at project "10 pan". Love the t-shirt, perfect for jeans and blazer kind of day. I'm obsessed with hue, been my fave for a while now, definitely going to try the gloss. I love versatile items like this top. 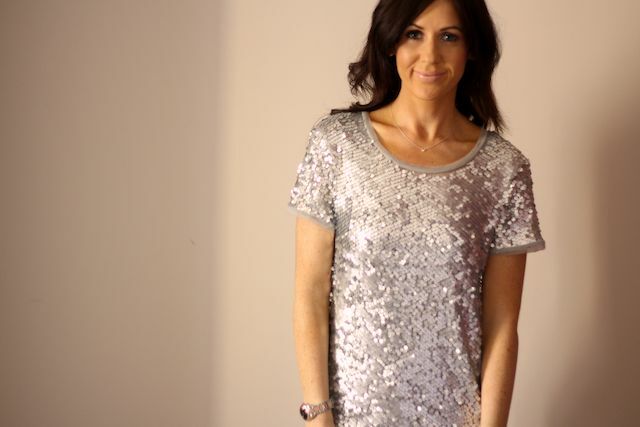 Just went onto the website but its out of stock in silver ANd black :-( boooo. You look fab in it! 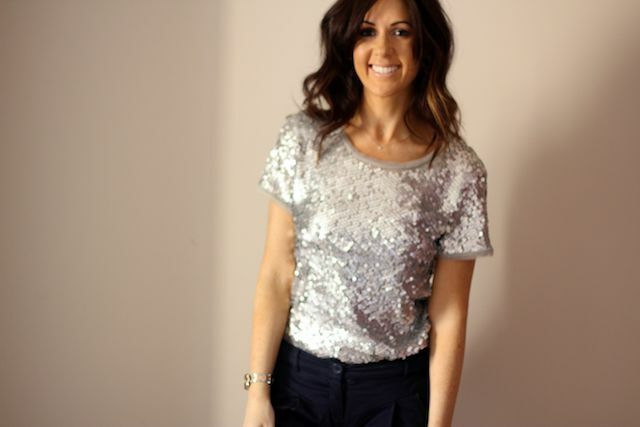 I love sequins (anything that glitters really). This top is so pretty and I love it paired with a blazer. @nana - ah project 10 pan :) those were the days ;) Good luck! 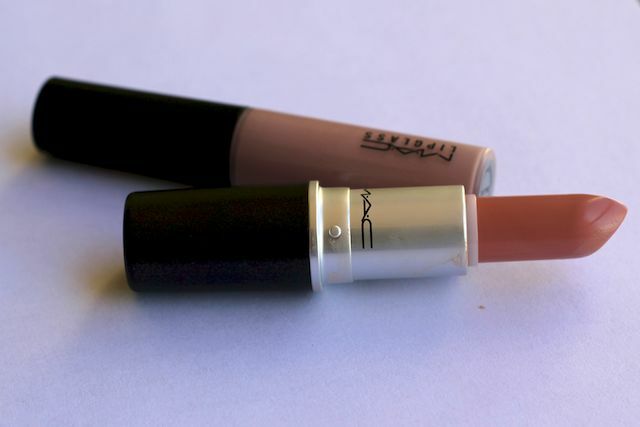 @Boscy - it's a creamy, pale mauve look that I love ;) Hope you do too! @Adele - thank you Adele! @Crystal - yes i know...it will leave you drooling! Ohh I love the hair flip action in the 3rd photo - haha :) I think this time of the year definitely calls for sequins. I was just thinking about that metallic kimono top you wore a while back - wish I had snagged that. Wonder if I'll feel the same way about this top! LOVE the top especially paired with a white blazer! looking gorgeous! Ooh love these tee - they have a similar style in H&M but I loved and left it...may have to give Zara a go! LOVE!! Will hunt for this at Zara when I go to Toronto next week. The fact that Zara don't ship to Canada/take Canadian credit cards and the closest store is 4 hours away is really getting to me. ho hum. you look amazing as always and love all the ways you put it together. Fab top Laura! will defo check it out in zara this weekend!I am at the hairdressers tomorrow and I really love your cut at the moment, have u been snipping yourself of did you brave the scissors where you got your colour done? Thank you once again for taking the time to write about my channel..
Ohhh wow that looks so nice with those jeans, must go and have a look at it!. Bargain! Hi Laura, Your Skin is glowing and is so even toned. Do you still use Clarisonic? Is it the magic of that? @MissAllyV - you are very very welcome! thank you for your fabulous videos! @Makeup Meoww - really hope you find it in store. Such a good bargain! @Claire - i think i have seen your comments on her videos before :) It's so exciting to find new and great people on YT! @StyleFrost - yes, I was majorly shocked at the price stag. @Confessions of a makeuplover - it's that time of year so I bet lots of shops have this kind of thing in stock! Thanks very much for your response Laura, I will try asking for that. @Principesa Constanze and @Neris - thank you so much girls! @Sarah - it's called Diamond by the Yard by Elsa Peretti and is the .5 carat version :) It's super tiny and Tiffany diamonds are notoriously rubbish quality BUT I like the design! @Shabna - thank you! have just tweeted that. I wouldn't be surprised if it's made in exactly the same place! Omgg I love ittt!! Its so versatile! Ugh I wish I could pull off the throw on a t-shirts and jeans and go look! You look so pretty and I'm really loving your hair! Gonna have to check out Phyto!! looks very similar to a dress i have!! oh dear.... i need this top and its not available online.... fingers crossed my store has it in and in my size! :) PANIC! That top is so glam. I really love it with the blazer. I love this top. It is great and I love the way you have styled it. so glad that you've made me aware of this wonderful bargain, such a great xmas top. 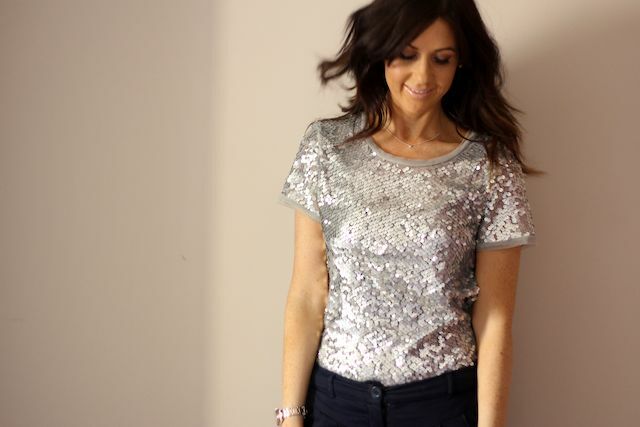 Love a bit of sparkle, you look lovely! i've been looking for something like this...but in a vest form. Wow! 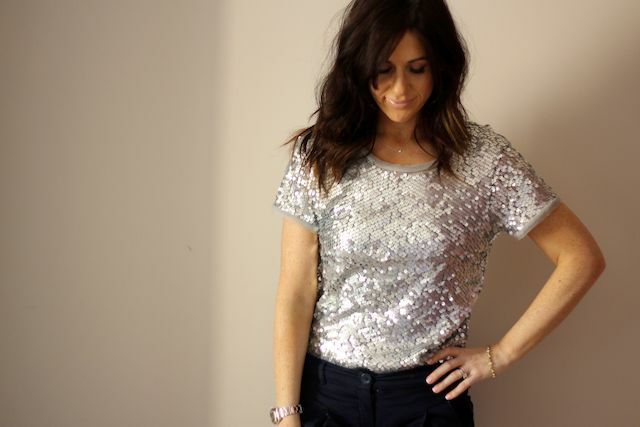 Love that sequined t-shirt!! I have been oogling over clustered sequined shirts, dresses, blazers-you name it, I have been lusting after it...but like you said, the price tag is always scoffable! I just hope Zara in Canada has the same t-shirt! It's interesting...this looks so much nicer in your pics than on the site. Just lovely!